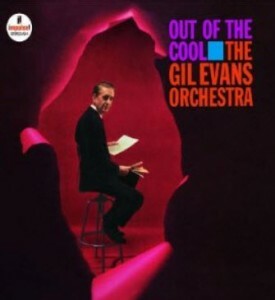 “Out of the Cool,” Gil Evans’ 1961 album on MCA/Impulse, was a revelation to me and many other jazz enthusiasts. While most other composer-arrangers relied on many choruses of written material, within which were sandwiched a couple of brief solos, Evans was dedicated to the proposition that the extended solo was at the heart of jazz. “LaNevada,” the opening tune on the album, exemplified this point of view in the boldest possible terms. The composition itself is little more than a sketch, consisting solely of three four-bar phrases in the key of G. After stating the theme, instruments gradually drift in, after which there are extended solos by John Coles (trumpet), Tony Studd (bass trombone), Budd Johnson (tenor), Ron Carter (string bass), and Ray Crawford (guitar), all propelled by Elvin Jones’ furious, churning drumming, sounding like a steam locomotive on anabolic steroids. I never cease to be amazed by Tony Studd’s bass trombone solo, a masterpiece of understatement, melodic inventiveness and – most importantly – pure, unadulterated swing. But “Where Flamingos Fly,” written by John Benson Brooks, is the tune that leaves me speechless. It’s a brooding, melancholy ballad with exquisite orchestration and harmonic textures, highlighted by a haunting, Jimmy Knepper trombone solo that is an incandescent masterpiece, a crystalline melding of compositional brilliance and improvisational genius. (Mr. Evans, along with Charles Mingus, had a way of bringing out the absolute best from trombone players – Mr. Knepper played for them both). I had just started playing guitar when I bought – on impulse and blind intuition – Jimmy Smith’s album, “Midnight Special,” Mr. Smith’s 18th (!) album for Blue Note. 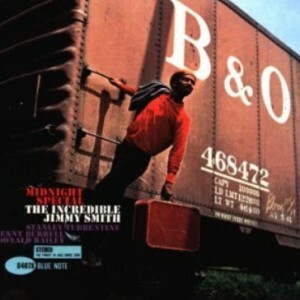 Recorded live at some unidentified jazz club, the album features, in addition to Mr. Smith on Hammond B-3 organ, Stanley Turrentine (tenor sax), Kenny Burrell (guitar) and Donald Bailey (drums). The title track features a guitar solo by Mr. Burrell that is a paradigm of the blues. It must have been about 1:30 in the morning, everybody is exhausted and has nothing left to prove. The audience is barely attentive, with clinking glasses and conversation in the background. And Mr. Burrell is in the ultimate groove, utterly relaxed, with the notes flowing effortlessly. If you never heard anything else in your life beyond these three or four choruses, you would know everything you need to know about the blues. 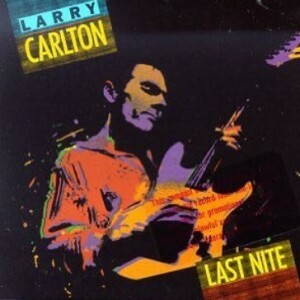 Finally, guitarist Larry Carlton has made his reputation playing mostly smooth jazz, a genre with which I’m generally less than enthralled. But in 1986 he made an album called “Last Nite,” recorded live at L.A.’s Baked Potato (with a horn section overdubbed after the live recording), on which he cuts loose with some pure jazz improvisation on a collection of originals and jazz standards, As arguably the most versatile guitarist out there, for my money there is nobody else who combines a positively eyebrow-searing technique with an adventurousness that takes him into harmonic realms that stretch one’s synapses to the breaking point. On Miles Davis’ “So What,” Mr. Carlton shatters about 88 harmonic boundaries. And his solo on the original “The B.P. Blues” conclusively demonstrates that, notwithstanding his occasional innocuous smooth jazz meanderings, the blues is at the core of his musical identity.